The runway was lengthened towards the Ilu River end in 1978, so some of the original field area that bordered on the Lunga River is now overgrown. 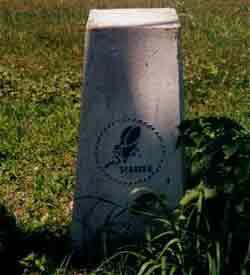 There are some overgrown roads and buildings along the road to the Edsons Ridge battlefield . We found a US 90mm AA gun shell case in 1996. 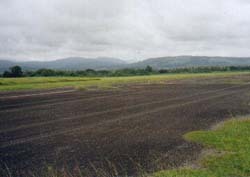 Henderson Field, in 1999 Of course every house or hut in the vicinity had fencing made out of matting from the airfield. 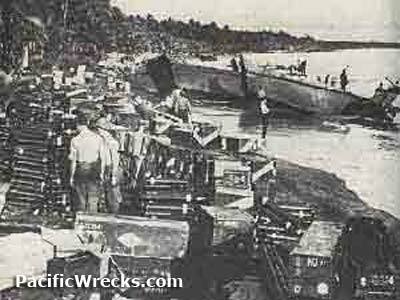 Overlooking the bridge across the Lunga River is a field gun described to us as American, but upon examination was in fact a Japanese 75mm gun. I am told that this gun was once mounted on the bow of the Japanese transport Kyusyu Maru. 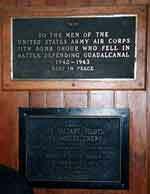 Inside the terminal building various American memorial plaques adorn the walls. 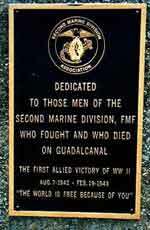 In front of the terminal are other plaques to the 1st and 2nd Marine Divisions , Marine Raiders , the Coastwatchers and Solomon Islanders. Facing the road is a good condition Japanese type 95 75mm AA gun - in fact the best we saw out of four such guns . 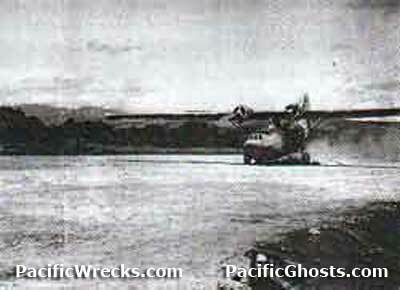 This one at the airfield was originally sited in the palm grove across the road. The main road in front of the terminal was once the taxiway and the wartime control tower still stands as a good reference point. 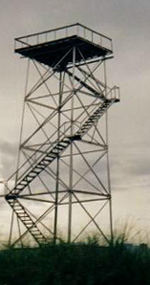 This is not the original wooden 1942 tower , but one built later in the war .At the foot of the tower is a concrete air raid shelter. 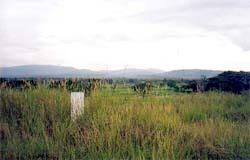 This area was excavated in 1992 and a monument to the battle of Edson's Ridge errected. The view from the control tower is very good and you can certainly get oriented looking towards Bloody Ridge, Fighter strip # 1, Pagoda Hill and the aircraft dispersal areas. The old Jap hangars south of the field are long gone, but the concrete foundation stones remain . In 1995 they were selling wartime dated Coca-Cola bottles at the Airport shop and said , pointing across the road to that area "there are thousands of them in the bushes!". They do not sell them at the Airport now, but there are still plenty for sale at the Honiara Market. Across the road from the tower is "Pagoda Hill" and plane revetment areas , how heavily overgrown with trees , bushes , and tall grass . Concrete foundation slabs of long gone huts can be seen. The white object in view is the Navy Seebees Memorial. Concrete air raid shelter at the foot of the control tower. Across the road from the tower are the �Pagoda Hill�� and plane revetment areas , how heavily overgrown with trees , bushes , and tall grass . Concrete foundation slabs of long gone huts can be seen. The �Pagoda� flight operations hut was bulldozed in November 1942 , but� the Communications centre tunnels and rooms dug into the hills are still intact and dry, although with entrances overgrown and now populated by bats. Henderson Field; Looking from the tower South towards Edson's Ridge Battlefield.